The name of the game in content distribution is, you guessed it: content. 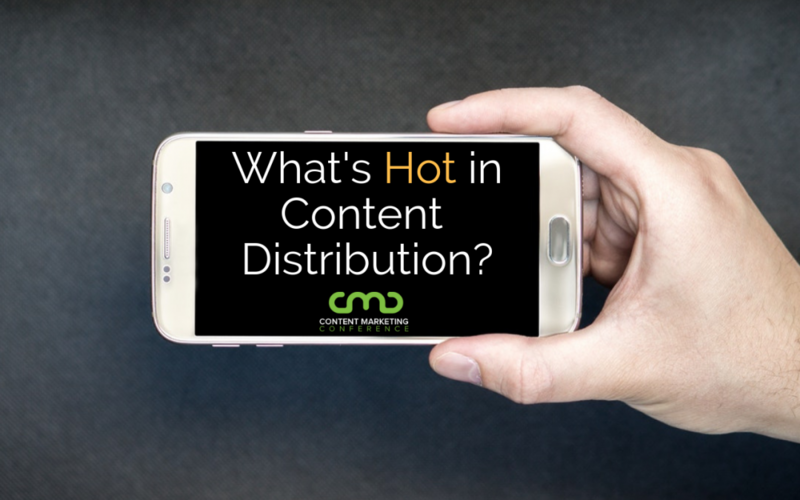 You can leverage the hottest content distribution strategies, but if you don’t have the right content to share, what’s the point? The old phrase “one man’s trash is another man’s treasure” does have a kernel of truth, but let’s create the right content…and then get it out there as effectively as possible! Read on for the latest in the world of content distribution. The longest reigning power couple for marketers has been great content delivered via the right distribution methods. For the past few years, blogging has been one of the primary choices; and while this effective tool isn’t going anywhere any time soon, there are a few distribution changes that will help businesses better connect with their intended audiences. The right content distribution method begins with a broader strategy. In fact, niche content marketing strategies have gone the way of the Dodo, as businesses have embraced an understanding that audiences are now more diverse in their search efforts (and digital interests) than ever. The approach to broad content marketing requires a diverse group of talent, as well as a unique approach to the actual content creation aspect. Take Pixar, for example, the animating geniuses who assemble a ragtag team for every big blockbuster. According to Ed Catmull, President of Pixar, the company takes content one step further by starting each project as “awkward and unformed, vulnerable and incomplete.” Through a rigorous dedication to simplified concepts, a focus on the process, and the ability to continuously improve, Pixar has grown by leaps and bounds to win more than a dozen Academy Awards. Businesses need to think of their content distribution in the same way…little ideas can grow and deliver big impacts so long as a broader strategy is adopted and supported by data. In days long gone by, the familiar (albeit excruciating) sound of a computer connecting to the Internet signified that the joys of digital exploration were not far off, so long as no one tried to make a phone call. Now, thanks to technological advances, the Internet quite literally travels on our backs, in our pockets, and even on our wrists. With this in mind, people want to consumer content in a wide variety of fashions, including a resurgence in video and audio creation. Like written content, the key to the former distribution methods is timing, storytelling, and a bit of humor; these three ingredients create the recipe for success, just ask Neil Patel. To connect back to the initial point of embracing a broader content marketing strategy, it’s important that businesses realize the benefits of publishing to a wider audience. Medium is one of the solutions to the problem of finding the new (and larger) audience without spending hundreds of hours scouring the Internet and building audience personas. Don’t get me wrong, the latter two entities are important, but with Medium, businesses can start creating new content, publish instantaneously, track reads and likes, and build a new content distribution channel from scratch. Companies can even repost original content from their other blogs, which means that they can have their cake and eat it too, as they reach an entirely new audience with previously successful content. The beauty of a metaphorical power couple is that they are only as good as their ability to support each other. For marketers, this means finding that perfect blend between brilliant content and a fantastic distribution method. Whether blogging has served your company well, or you want to add a sprinkling of video and audio content creation, one thing remains certain: the hottest trends in content distribution are the tools that help your business reach the right audience, at the right time, and of course on the right platforms. From using medium to effectively reach larger audiences, to using Hootsuite Amplify to encourage your employees to share more with their networks, there are numerous distribution tools that can help your business reach new heights. However, if history has taught us anything, it’s that the fall from grace is a far rockier slope in the digital realm, especially when a single “tweet heard round the world” can become a calling card for poor content creation. To avoid the fall, remember that content and its distribution method will always be a power couple so long as the word “great” can be used to define both entities. Laura P has written 4,000+ articles, blog posts, product reviews, press releases, and website content for a multitude of clients. In the past 7 years, she has developed written, marketing, video, and web content for clients in the real estate, information technology, restaurant, auto, retail, equine sales, oil and gas, and public relations industries. Laura is highly proficient in SEO optimization, particularly in real estate and retail industries. She ghost wrote IT white papers, government contract task orders, RFIs, and RFPs that resulted in millions of dollars won. She has 7-years of experience working with and interviewing olympic athletes, small-business owners, CEOs, SMEs, and entrepreneurs on complex topics. As a professional writer, Laura strives to create content that is both meaningful and relatable to her readers.